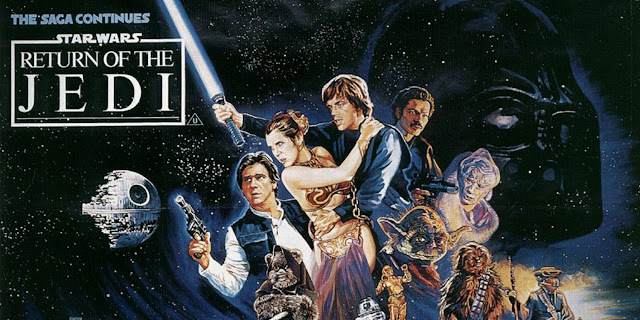 Star Wars: Return of the Jedi premiered on cable television for the time on this day in 1987. The third film of the original trilogy had first screened in cinemas in 1983 before being released on VHS and Laserdisc from 1986. Star Wars was first shown on pay-per-view subscription services across America, before HBO showed the film in the winter of 1983 and then CBS took over airing Star Wars on network TV for the first time. Return of the Jedi would later air on NBC in November 1987. Since then Return of the Jedi has been aired on a variety of TV networks, including Spike and most recently Netflix.